The DecorDreams Wall covering are the best solution for home or commerce decoration projects. They count with a new intern structure which add practical and esthetic benefits as well as the new Real Touch Surface with a result of a real material aspect thanks to its relief synchronized or Techno Fix foam, a new technology created to make easier its installation which reduce the necessary time for decorating a Wall thanks it is not necessary add any additional adhesive. More real. More realistic feeling with the new Real Touch Surface. More practical. 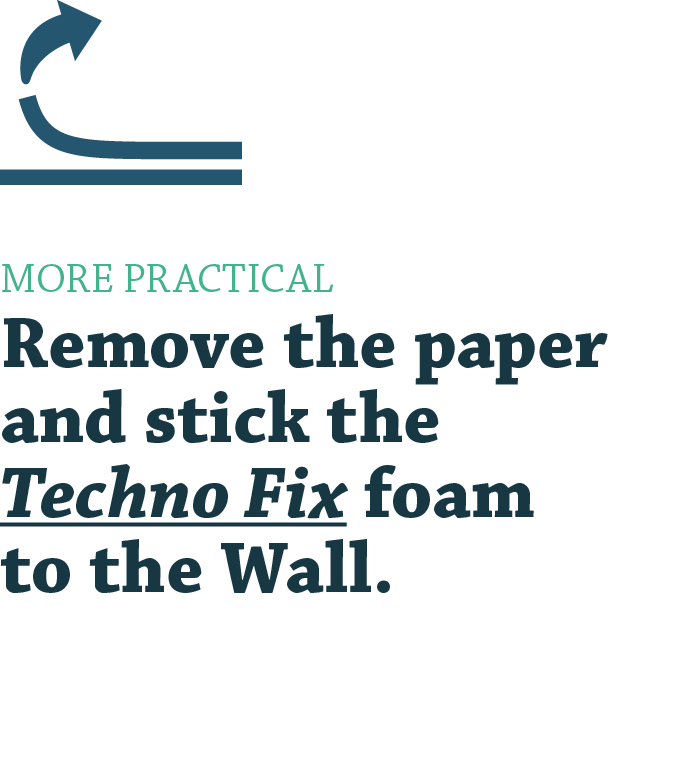 Remove the paper and stick the Techno Fix foam to the Wall. Faster. Without extra adhesives which make difficult the installation. Only remove the paper and stick to the Wall. The DecorDreams product is presented in two formats to give a more realistic aspect together with the feelings that a Wall have to transmit. 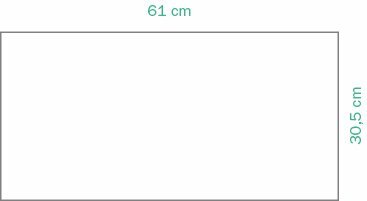 The tiles formats available are 18,5x91,44 cm for Woods and 30,5x61 cm for ceramics and hydraulics. Only 6,8mm to not lose space. Qualified for being installed in homes and commerce resisting to high temperatures. Its structure and fixation allow offer a domestic guarantee of 12 years. The 4 sizes painted bevel give a total realism. Good acoustic and term insulation: Absorb the noise (10dB) and keep better the temperature of the room. Coordinated complements, able for ceramic and Wood range. In designs, finishes and formats. Not necessary professional tools. Only a cutter. Do not waste time removing the old material even the during the post work of cleaning. In less than 10 min. 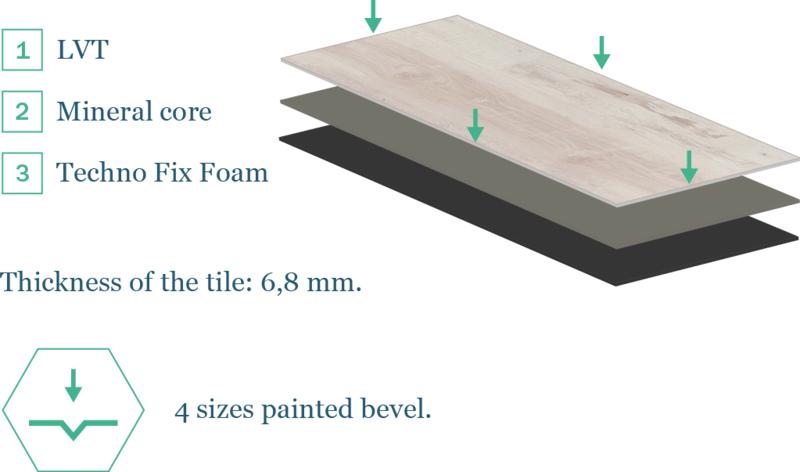 you will install 1sqm. Its structure of glass fibers allows the absorptions of blows without damaging. 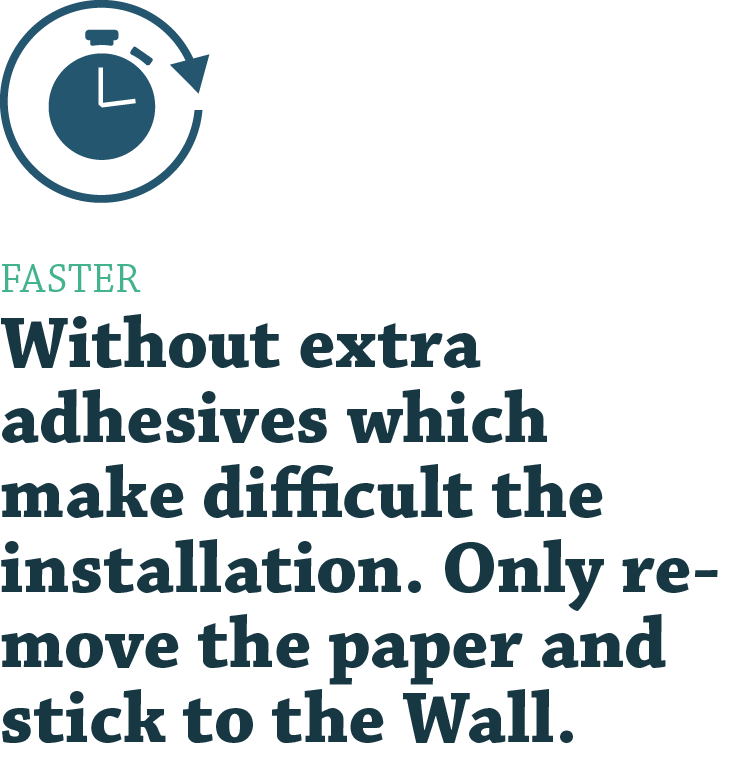 Adhesive optional for irregular or porous walls. The weight and the measures of the tiles make easier the installation. Thanks to its special mineral fiber composition can be installed in water areas. Its structure allows the adaptation to different surfaces. The products is qualified to the fire behavior regulation and it can be installed in comercial locals with a guarantee of 6 years. No removing tiles, no construction permits, no dust, no noise, no stains and no painting anymore. It install without necessity of any self-adhesive complement. Its technology Techno Fix allows remove the tiles without residues. Good relation quality/Price, plus avoiding extras from the installation and preparation of the Surface and the construction work. 4 sizes painted bevel with the same color together with the new finishes in the Real Touch layer gives a great realism. High resistant to temperature changes.